The per cent of women in science, tech, engineering, and maths jobs (STEM) was 24% in 2017. Congressman Marc Veasey (D-TX) is introducing a bill into the US House of Representatives that would direct NASA and the National Science Foundation to provide funding for women and girls of colour to pursue careers in STEM. Below, he and Sylvia Acevedo, CEO of The Girl Scouts of USA, describe its importance and relevance in a world where there are stark disparities between women of colour and white men in STEM careers. Women and minorities have changed the face of space exploration, saved lives through targeted chemotherapy treatments, and built robots that can three-dimensionally print human tissue. Yet, these trailblazers often remain “hidden figures,” and their discoveries and accomplishments continue to be overlooked. 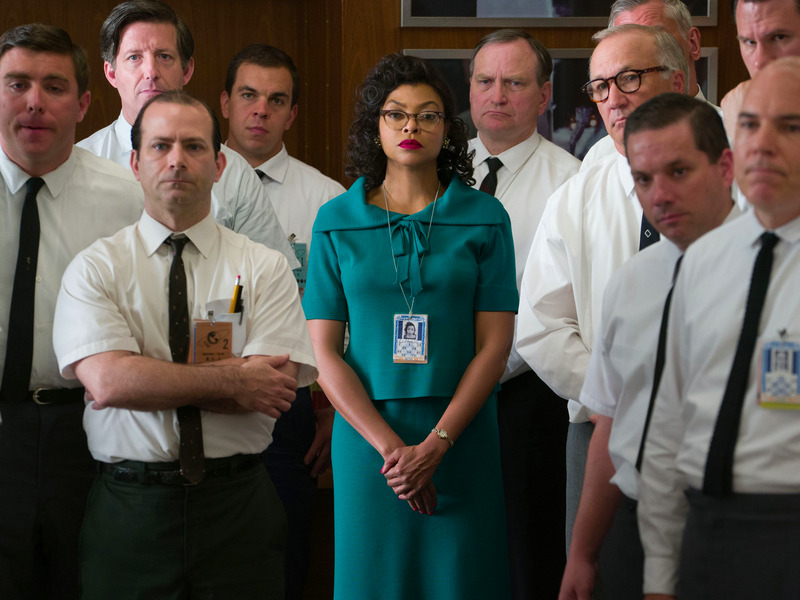 Despite a concerted lack of recognition and a blockbuster hit that details the life of NASA mathematician Katherine Johnson, too many of these women remain in the shadows. But, we can begin to change this by providing more opportunities in our 21st century workforce for young minority women to pursue science, technology, engineering, and maths (STEM) degrees. That’s why Marc Veasey (D-TX) has introduced a bill that will direct NASA and the National Science Foundation (NSF) to provide funding for minority women and girls to pursue careers in STEM. The bill would also create a scholars program for woman of colour to pursue degrees in STEM fields. The Girls Scouts of the USA – run by CEO Sylvia Acevedo – has endorsed this bill. Sylvia – a former rocket scientist – feels privileged to have the opportunity to work every day with girls from minority communities who express their interest in STEM through a number of the organisation’s STEM programs for girls of colour. In addition, it would be a meaningful symbol to have a woman of colour, who has risen through her persistence, tenacity, and whip-smart legislative acumen, continue to exercise leadership on these issues in the House of Representatives. Congresswoman Eddie Bernice Johnson, the Democratic ranking member of the Committee on Science, Space, and Technology, is in line to be the first African American Chairwoman of the committee. If we take a step back, we can see that STEM subjects are not simply taught in a classroom; they are critical fields that drive our economy, motivate scientists around the world, and push the next generation to explore uncharted territory. So why are there still such stark disparities between white men and minority women in STEM careers? For one clear example, look to the medical field. The number of Latinx physicians has declined by 22 per cent since 1980, despite Latinxs being one of the largest growing populations in the United States. Meanwhile, black women make up only two per cent of doctors in the United States, equating to less than seven per cent of African Americans who received medical degrees in the United States in 2015. The contributions of women of colour to STEM fields and society at-large are vast. FromMamie Phipps Clark, whose work was cited in the Brown v. Board of Education case, to Jane Cooke Wright, director of cancer research at 33 years old and known widely as the creator of targeted chemotherapy treatments. It’s imperative that we highlight these women, not only celebrate their achievements, but also to create powerful female role models who serve as proof that all girls, regardless of race or age, have a pathway forward in STEM. Ongoing, systemic disparities between men and women, as well as white and minority students, are why organisations like Girls Scouts and others, including Black Girls Code and the Kapor Center have championed inclusion and creativity. But to provide STEM programs for minority girls across the country, we need the resources and funding. This bill provides opportunities for more girls to achieve STEM degrees and also creates public/private partnerships that focus on growing opportunities for girls in STEM careers. The time is now for our nation’s girls to grow into astrophysicists, astronauts, computer scientists, and Noble winners in the sciences. That’s why, on Ada Lovelace Day, we stand with these women and pledge our commitment to fighting for girls of colour and their right to seek out fulfilling, prestigious careers in STEM. Representative Marc Veasey (D-TX) is the ranking member on the Subcommittee on Energy in the Science, Space, and Technology Committee. Sylvia Acevedo is the CEO of Girl Scouts of the USA.